Each year, Cleveland Touchdown Club Charities plays host to, sponsors and provides assistance to a number of great events around Northeast Ohio. Are you interested in taking part in one of these events, have questions or want to inquire in having Cleveland Touchdown Club Charities represented at your next event? Email us at ctcc1938@gmail.com. Our signature event, the Gene Hickerson Memorial Golf Outing, is our largest event of the year. Open to all golfers, this annual event helps raise funds to support charity initiatives, primarily our four CTCC Memorial Scholarships. The outing features 18 holes of golf, lunch and dinner, door prizes, silent auction, fun games and a raffle to win $1,000 cash. Each year we play host to the Youth Player Development (YPD) Camps. YPD camps are skills-based camps for players in grades 5-9 and are coached by some of the best High School and College Football Coaches in the area, along with former NFL greats like Kevin Mack, Greg Pruitt, Reggie Langhorne, Bill Duff, Ernie Kellermann, Bryan Wagner and more! Cleveland Touchdown Club Charities is honored to continue our support of the annual Special Olympics / "Play 60" Event. 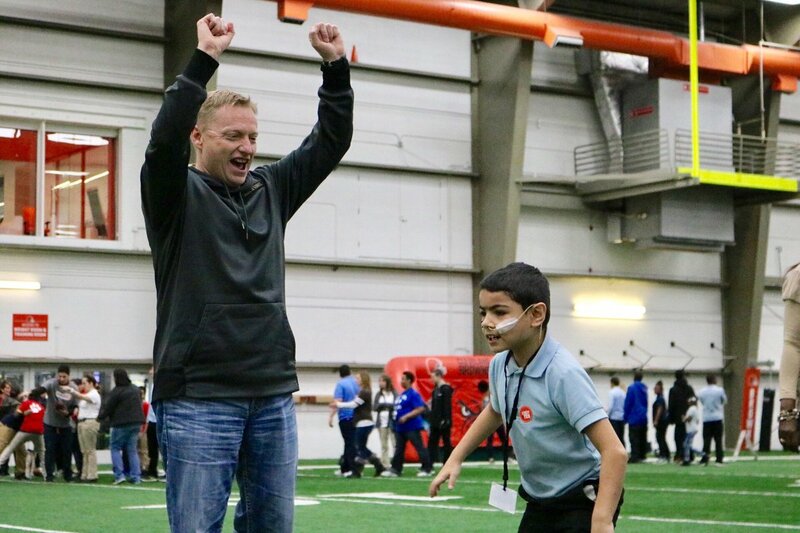 Each February, we join a number of local organizations – including the Cleveland Browns – in this great event that brings together 800-900 athletes and coaches from the Special Olympics and Cleveland’s Metropolitan School District at the Cleveland Browns training complex. During the day, students get to participate in youth football drills, dancing, inflatable challenges, activity challenges and more.